Two things are bugging me. One is that Germany’s plan for invading France at the start of World War I was called the von Schlieffen plan and it was doomed from the start because it involved a very strict timetable and yet didn’t give any allowance for possible resistance from the Belgians as the Germans passed through Belgium. I’ve been thinking a lot about it lately because it’s in a World War I book I’m reading. First off, what the heck does it mean? Or am I telling you to go out and make the morning good, in case you were stupidly planning on making it crappy? Because if that’s the case, a warning from me probably won’t make a difference. But “good morning” is the worst of these because it is used first thing every single day and yet is confusing and meaningless and uninformative. Instead, we should begin our day by jumping right in with what’s on our mind, thereby triggering a healthy debate of the issues. And she didn’t say one word in defense of the von Schlieffen plan. 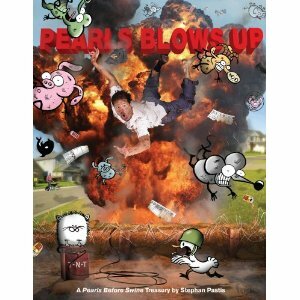 The “Pearls Blows Up” World Tour kicks off in San Francisco, California at the Cartoon Art Museum on Saturday, March 19, 2011 from 6:00 pm to 8:00 pm. I’ll be talking all about the strip (including how it started and how I went from being a lawyer to a cartoonist), showing some readers’ favorite strips (and some not-so-favorite strips), and afterwards, I’ll be signing books. Tickets are just $5 and are on sale HERE. Feb. 26 UPDATE: Unfortunately, there are only a handful of tickets still left, so if you want to attend, you might want to get your tickets soon. With the economy as it is right now, it seems wherever you look there’s someone trying to rip you off. It just happened to me with a bird feeder I bought. I wanted it so I could put it in front of the window where I draw and watch the birds as they eat. Well, the birds are eating the food, but they’re not doing it while I’m around. And that, to me, is theft. But they’d probably steal that too. This has got to be a real low point in this Great Recession. At long last, a new and informative edition of Reader Mail. 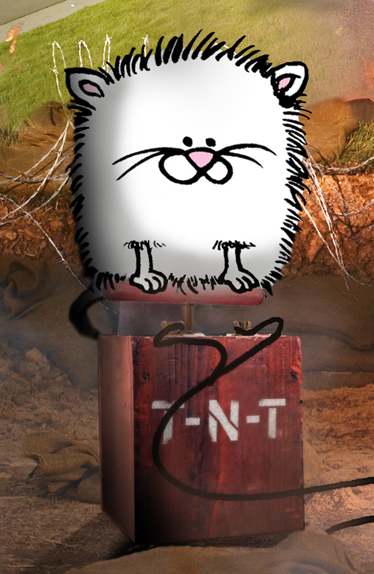 I understand that many of you are having trouble getting today’s strip on comics.com. So what I’m doing today is posting the strip here in high res. Not only will you be able to see the strip, but you should also be able to read the tiny writing in the third panel. (Just click on it to enlarge). I got a call yesterday from a woman who sounded old. I didn’t know Mildred, but she obviously knew me. So I asked her what she needed to talk about. “I don’t think I’m going to that,” I said. And that’s when I realized she had not said “Pastis” at the start of the conversation. Now this is where a kind, sane person politely says, “I’m afraid you have the wrong number” and hangs up. So that’s not what I did.